Bliss Anand, a leading manufacturer of field instruments for process, power and energy Industries formed in 1975 by Prem Anand, a persuasive entrepreneur from New Delhi, India has dramatically grown over the past four decades. The product range meets world class quality and includes magnetic level gauges, glass level gauges, sight glasses, sight flow indicator, level switches, magnetostrictive transmitters, remote seals (Badotherm, Holland) and safety relief valves (Farris, US). Bliss Anand has added recently, an Energy Equipment Division to cater to the demand of skid mounted engineered packages, including 2/3 Phase separator skids, indirect water bath heater, gas conditioning regulating and metering system, chemical injection skids, filter separators / dry gas filters and heaters. 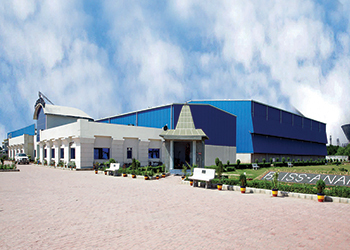 The company has three state-of-the-art manufacturing facilities spread across the globe – one is in Bawal Haryana – India; second in Dubai, UAE and the third in La Porte, Texas, US supported with a wide spread network. Bliss Anand is shortly opening a manufacturing facility in Dammam, Saudi Arabia, to serve oil giant Saudi Aramco and other customers in the kingdom.